The Harwood Arms has upped its gastro offering, moving away from being just another west London pub and blossoming into a place where fine food flourishes. The critics seem to agree and the Harwood has steadily built up a collection of awards and accolades, including the first and only London pub to be awarded a Michelin star. The Harwood was built in about 1840 as a pub but its story started in 2008, with the collaboration of Brett Graham (The Ledbury), Mike Robinson (The Pot Kiln) and Edwin Vaux (The Vaux Brewery). 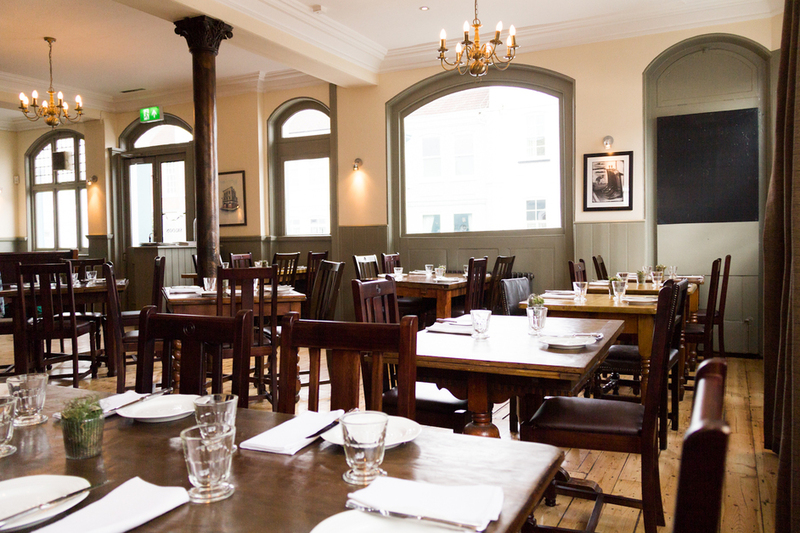 Hidden away in the back streets of Fulham, the Harwood offers award-winning food and wine in a casual and relaxed setting, championing the very best British produce with a focus on game and wild food, much of which is sourced from the nearby Berkshire countryside. Resolutely down to earth, they get the basics just right. Their signature dish, to give an example, is a venison Scotch egg, to be enjoyed as a bar snack, and they serve the best potatoes in London - crushed and fried to perfection. Sunday is a celebration of all things delicious and British, with their famous 55-day aged rib eye of Hereford beef with smoked bone marrow, roast potatoes, cauliflower cheese croquettes, Yorkshire puddings and bone marrow gravy. If you haven't exploded with satisfaction by this point, then you must try a bowl of warm seasonal fruit doughnuts with Yorkshire rhubarb and vanilla sugar. The Harwood Arms gyms, sporting activities, health & beauty and fitness. The best pubs near London The Harwood Arms. The Harwood Arms clubs, bars, cabaret nights, casinos and interesting nightlife. Where to have your meeting, conference, exhibition, private dining or training course near The Harwood Arms. From cheap budget hotels to luxury 5 star hotels see our special offers for The Harwood Arms hotels, including Hotel Indigo London Kensington - Earls Court from 73% off.